Dr. Bobby Lovett | Author. Historian. Speaker. 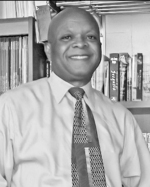 Dr. Bobby L. Lovett is an award-winning author, historian, speaker and retired professor of Afro-American history. Lovett was born in Memphis, Tennessee where he received his public school education and completed Booker T. Washington High School. He earned his B.A. at Arkansas A.M. & N State College (today’s University of Arkansas campus at Pine Bluff) and M.A. and Ph.D. degrees at the University of Arkansas in Fayetteville. He has taught history courses in the Memphis Public School System (1969-1970) and at Eureka College (1970-1973). Dr. Lovett was a senior professor at Tennessee State University (TSU) for 30 years until his retirement in 2010. He also served as the Dean of the TSU College of Arts and Sciences for more than 10 of those years. His 2005 book, The Civil Rights Movement in Tennessee: A Narrative History, won the “Tennessee History Book Award” by the Tennessee Library Association and Tennessee Historical Commission. Lovett’s articles have appeared in several history books, encyclopedias and scholarly journals. He has served on the Board of Directors for the Tennessee Historical Society and Editorial Board of the Tennessee Historical Quarterly. Bobby is the proud father of five children; Todd, Bridget, Kenyatta, Catherine and Leigh. He is married to Mrs. Lueatrice Lovett, a former educator in Nashville Public Schools for more than 25 years, and they reside in Nashville, TN. His children have blessed him with five beautiful grandchildren; Omari, William, Kyle, Kiersten, and Kennedy. Dr. Lovett has been a faithful member to the historic First Baptist Church Capitol Hill for more than 30 years. He is also a lifetime member of Kappa Alpha Psi Fraternity Inc. Now that he is “retired” he travels across the country lecturing, continues to write new books, and enjoys gardening. We are trying to reach you to be a speaker for the Fisk Meharry TSU Faculty Breakfast Club in late April. Our President is Dr. Fatima Barnes at Meharry Medical College. Please contact one of them. Their e-mail addresses are lulabrooks@comcast.net and fbarnes@mmc.edu. I do not have a phone number for you, but was able to find this via Google. I hope it works and reaches you without going public. We have received this request from Ms. Brooks and will get back to her next week. Enjoy your weekend. Dr. Lovett, I just minutes ago heard you on C-SPAN. Thank you for your erudition, comprehensive knowledge of the history of your period, and your courage in speaking historical truth.